Dave Genney has kindly looked microscopically at spores and hairs from the eyelash fungus from the Loch Duagrich area and found it not to be the common eyelash but rather one with no common name currently, Scutellinia trechispora, for which there appears to be very few Scottish records. 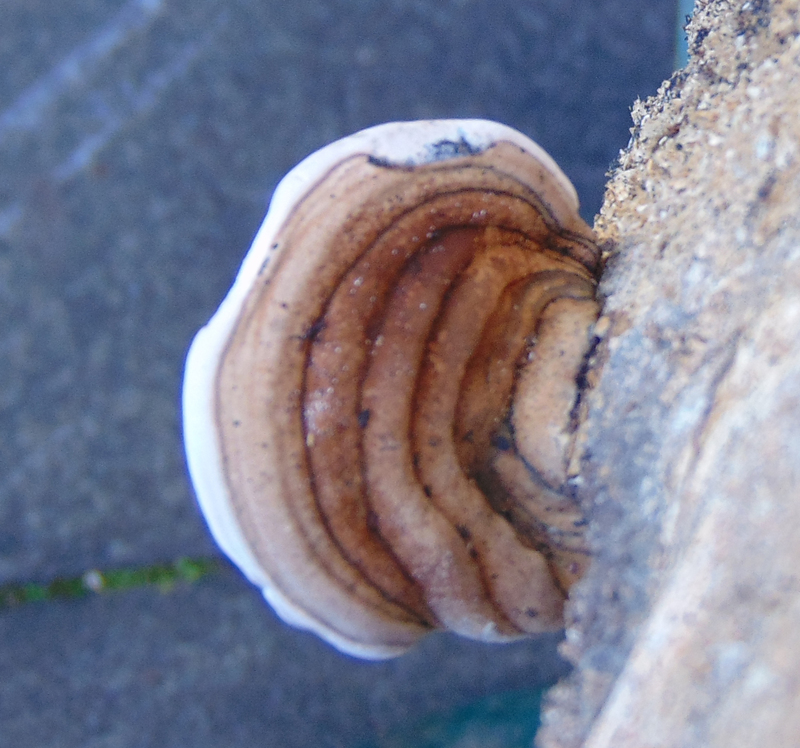 Meanwhile, this bracket fungus grew on a tree trunk that had washed up on the shore last Christmas. Liz Holden tells me it is a Ganoderma, probably G. australe (Southern Bracket), but it is too immature to determine with certainty as it had no spores. 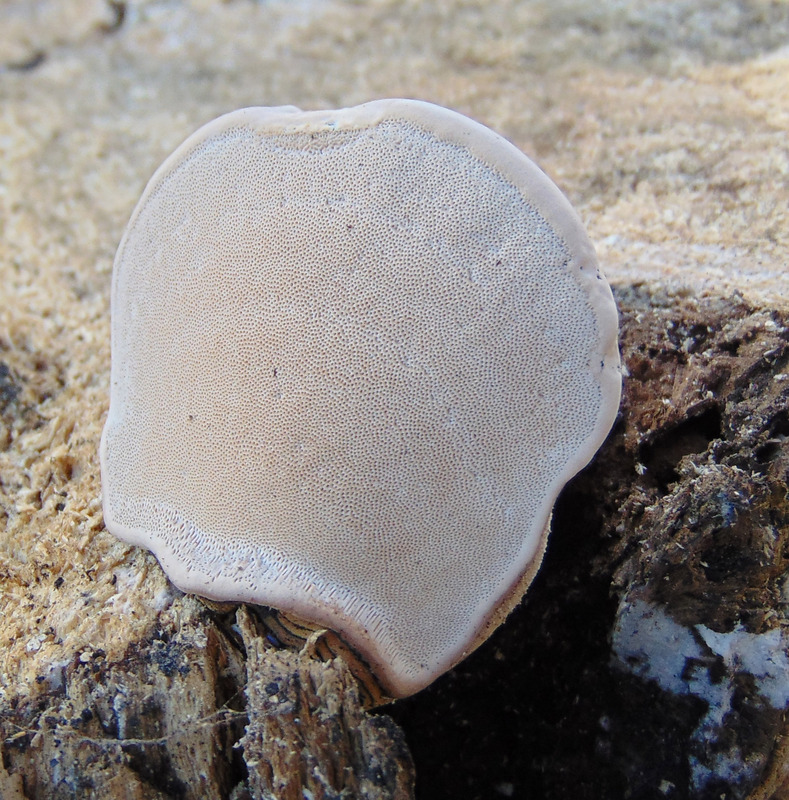 G. australe is the only Ganoderma recorded on Skye – and there is no record for Raasay. I may try to bring one to maturity, the key thing being not to use the log it is on for firewood. 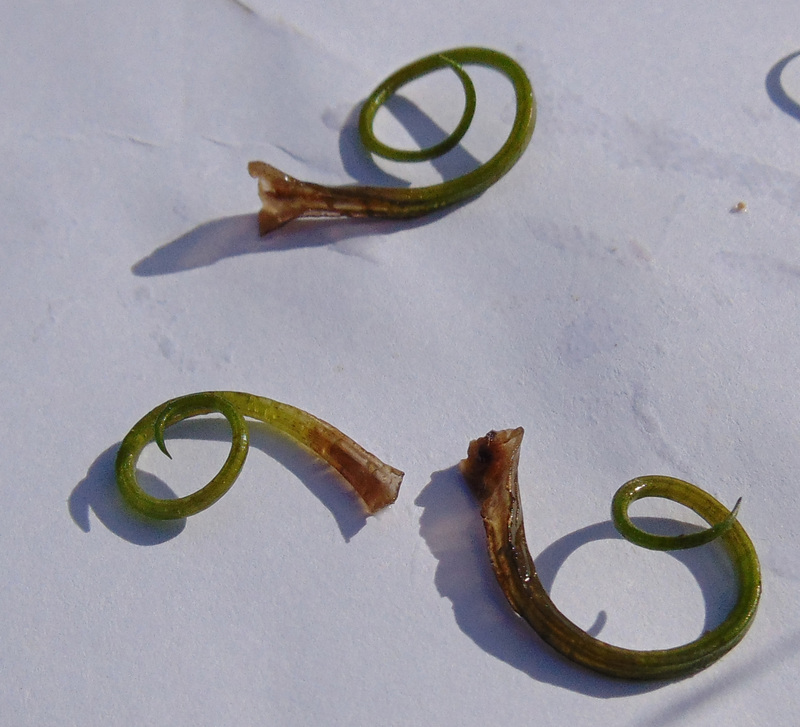 Yesterday I went to Loch Niarsco to update Elatine hexandra (Six-stamened Waterwort) and Subularia aquatica (Awlwort) records – successfully. I also found Sparganium erectum (Branched Bur-reed) but no sign of the Iris pseudacorus (Yellow Iris) recorded there by the NCC Loch Survey in 1989, which leaves me a little suspicious. 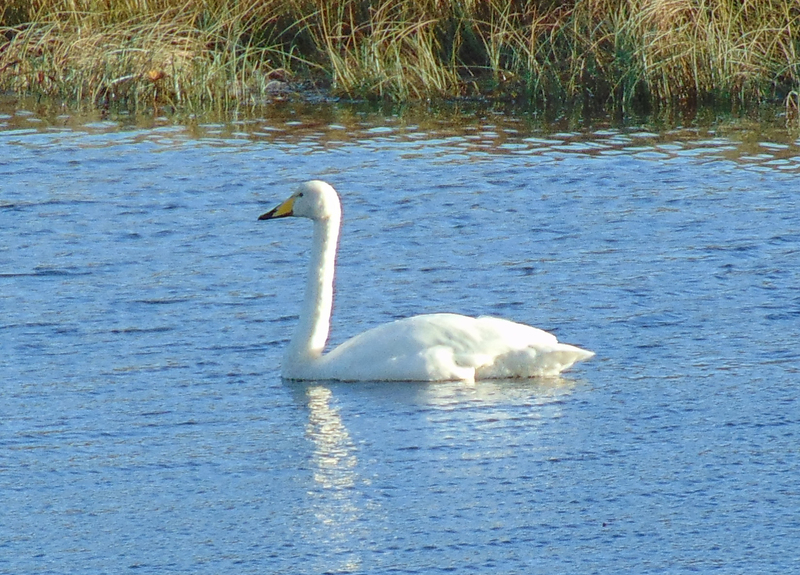 I ended up trying to swim in the bog to inspect the Sparganium, only to find another patch within easy reach a few minutes later. Overall I recorded 142 species in NG34Y, increasing the tetrad count from 49 to 156 and one record, for Potentilla sterilis (Barren Strawberry), was the first record in NG34 since 1995. There were Black Darters (Sympetrum danae) and larvae of Northern Eggar and Broom Moth. I collected a couple of Mentha specimens from Portree and Sligachan. 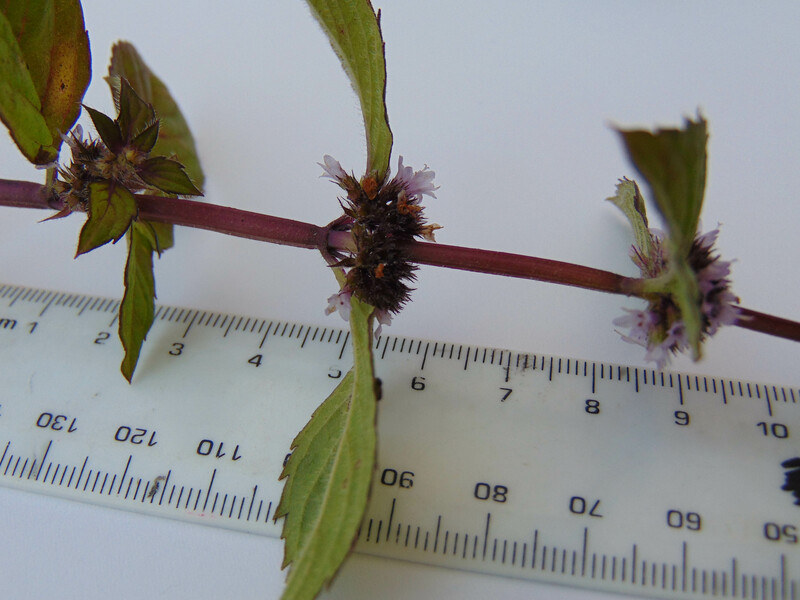 One of these populations has been recorded as Mentha x rotundifolia (M. longifolia x suaveolens) in the past and they could both well be that, but I find the far end of Stace’s Mentha key where this plant keys out to be unusable, so I shall send specimens away to the Mentha referee. but the calyx is longer with narrowly triangular to subulate teeth rather than short (up to 2.5mm) with triangular teeth no more than 0.5mm in the case of M. arvensis. We shall see what Mike W makes of these. Unfortunately there were no basal leaves to check the hollowness or otherwise of the petiole. 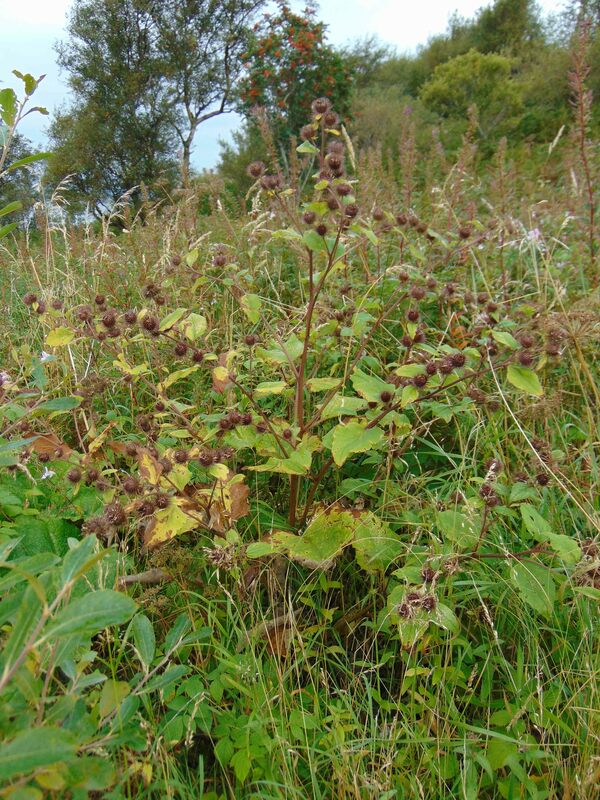 Later: Mike says this too is Arctium minus subsp. pubens. Two grasses that have probably come from forage were looking remarkably good for October. 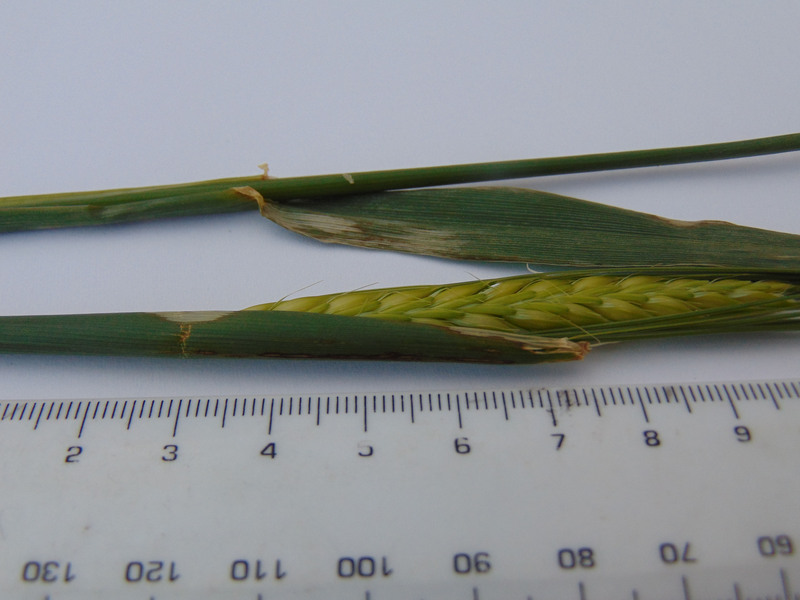 Hordeum distichon (Barley) is unsurprising from such a source. 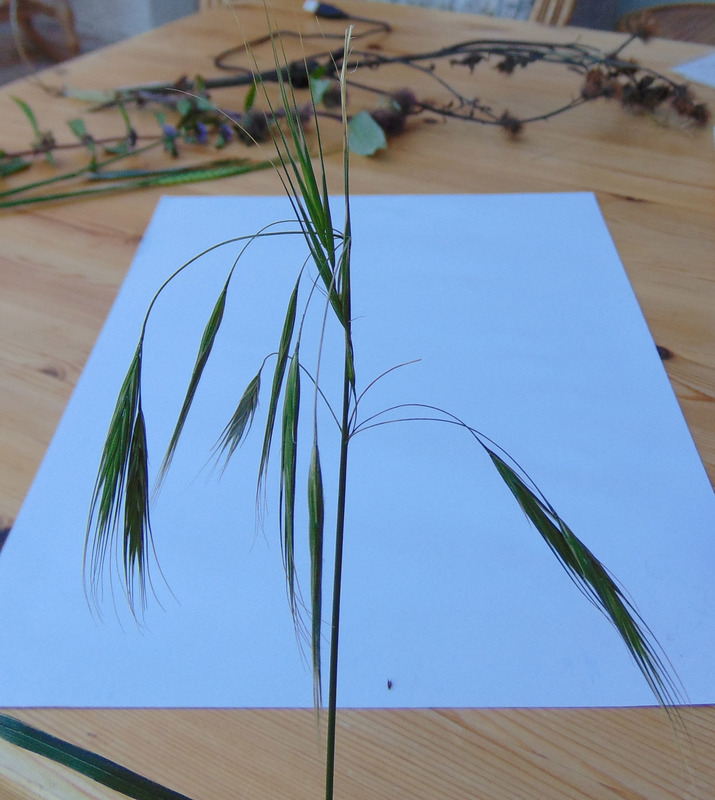 but Anisantha diandra (Great Brome) was unexpected, and the first record for the vice-county. It may be well into October but at Loch Eadar dà Bhaile there were dragonflies flying – I spotted several Common Hawkers (Aeshna juncea) and one Common Darter (Sympetrum striolatum). Patterns of Flora has been shortlisted in the Placemaking category of the prestigious Arts & Business Scotland Awards 2015. In this category the award goes to a partnership that has strategically shaped the cultural activities in a particular geographical area or has contributed to an increase in cultural tourism in that area. There is some serious competition left but this is great news for Raasay! I know there are a few 2015 vascular plant records still to come, but I don’t suppose we will make a further 1300 records to match 2014. However, given the weather this year, that is a great effort all round. Many thanks to all who have contributed. 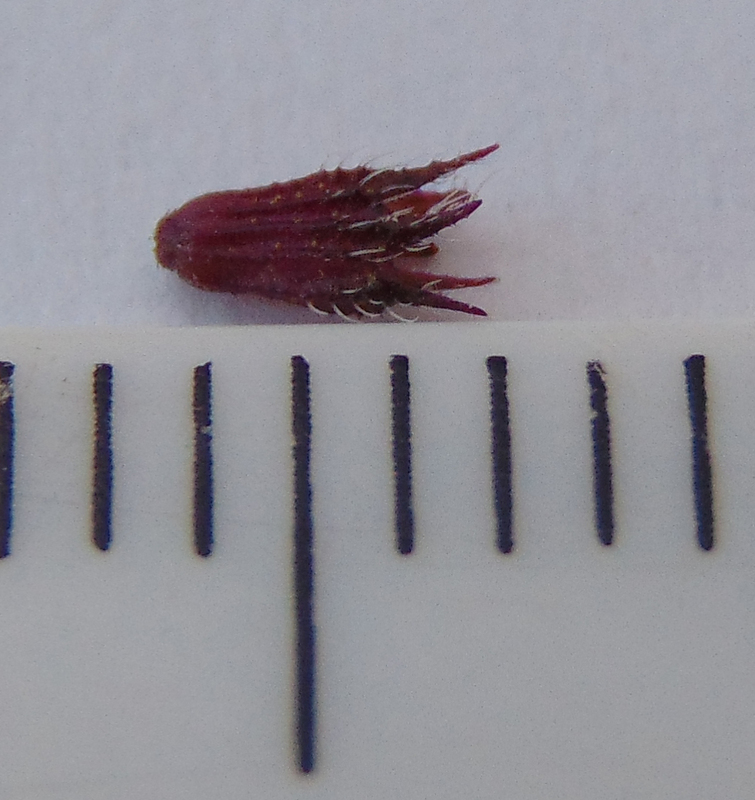 I collected a specimen of Arctium minus agg. 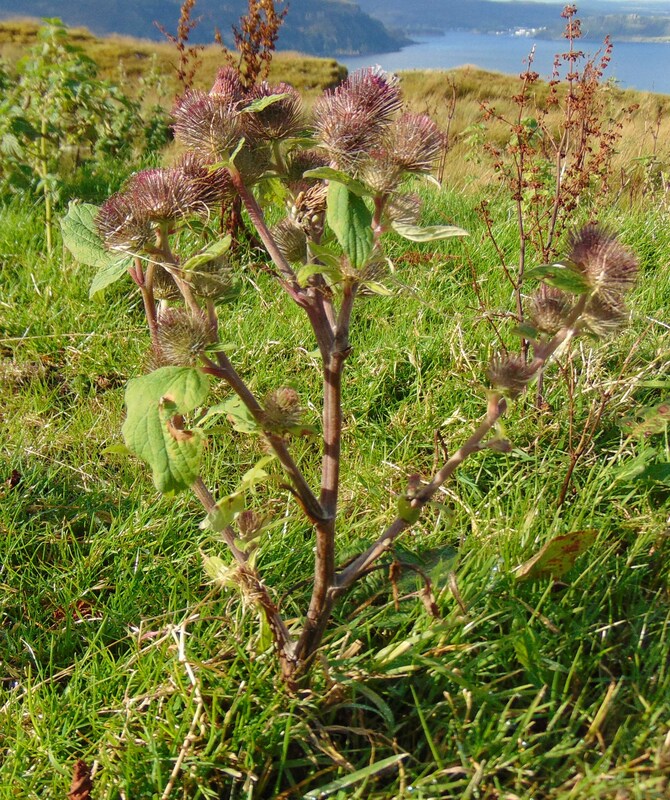 (a Burdock) for determination. 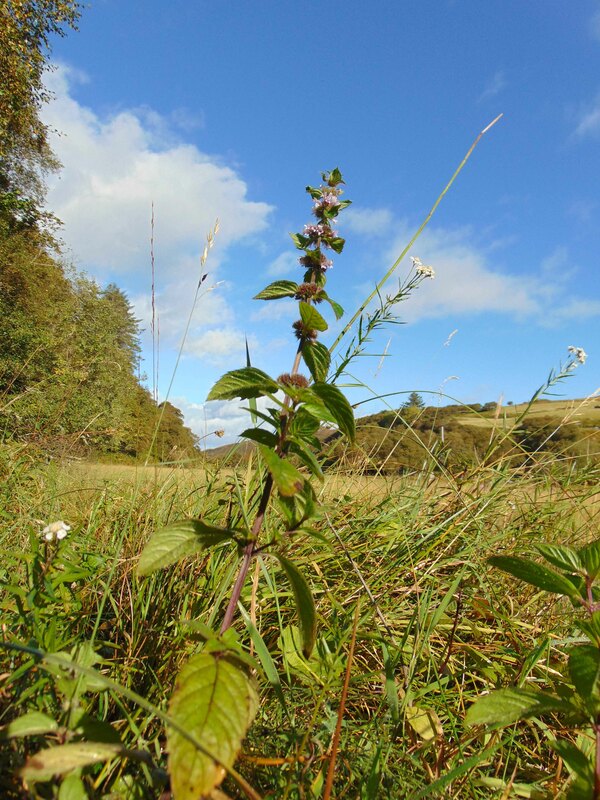 We have called all of ours A. nemorosum (Wood Burdock) but this is worth revisiting. Later: Mike Wilcox has determined this plant as A. minus ssp. 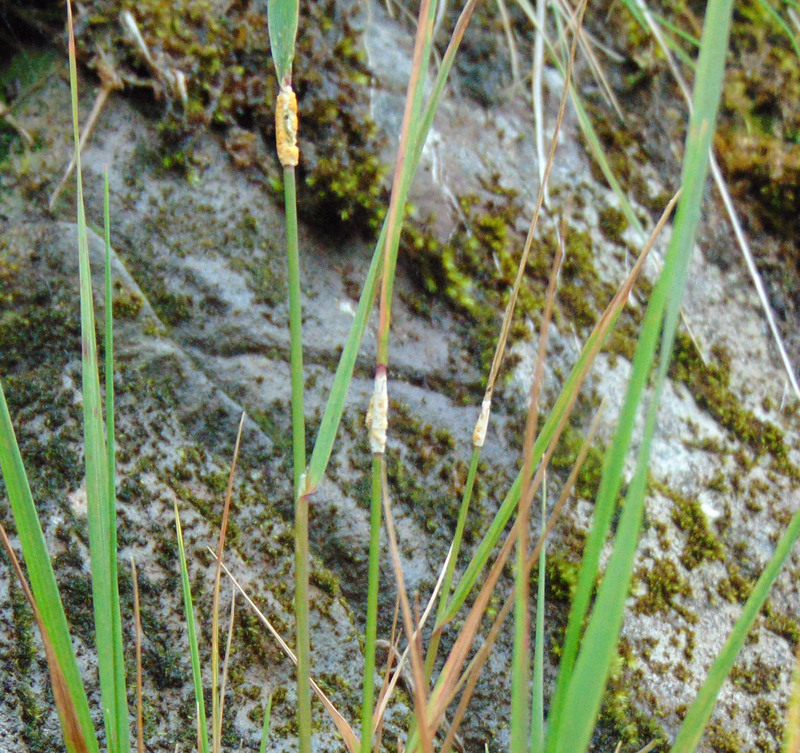 pubens as “The heads are single, largely racemose, c. 30mm across and on longer peduncles; some sessile small bud like flowers present which tends to suggest the minus sens. str. parent and the longer peduncles for the others suggest the lappa parent = ssp. pubens.” This is the first time this has been recorded in VC104 but maybe all our Arctium is this? Later I went into Carbost, which is in a tetrad with only four plant records – at least it was until yesterday. The number of vascular plant taxa now stands at 158. As one might expect in a village there were weedy things as well as garden escapes. There is also shore and the Carbost Burn running inland into the moor and I am certain that a spring/summer visit would increase this total quite a bit further. 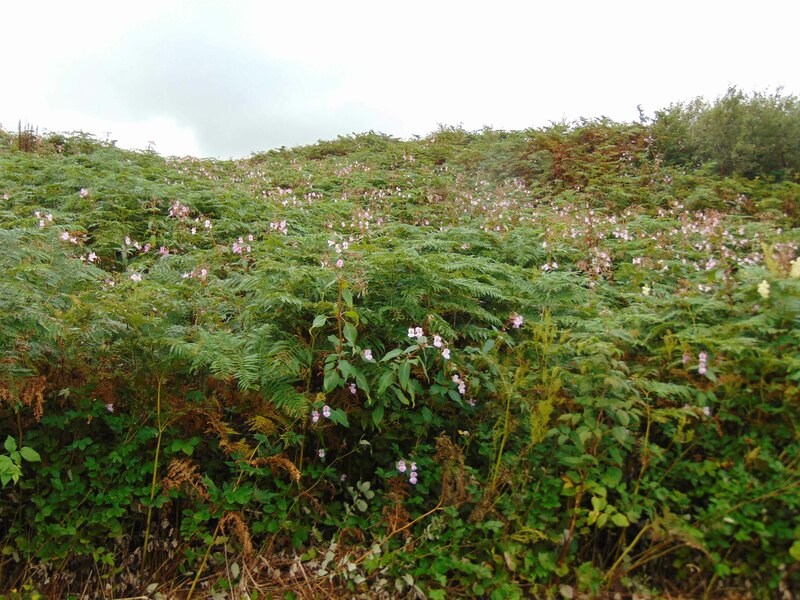 Notable was Calystegia pulchra (Hairy Bindweed), also known from Dunvegan, Uig and the Portree area. 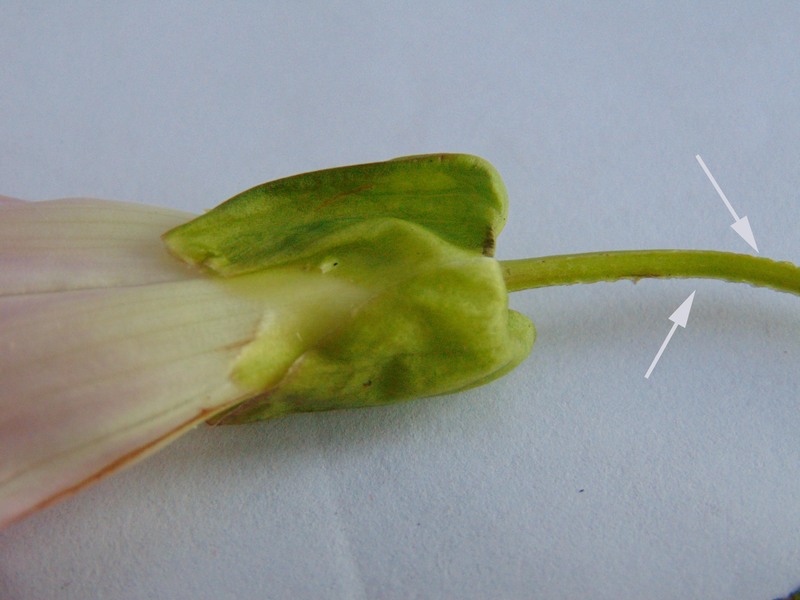 The species and hybrids of Calystegia are quite tricky and the flowers and bracts of our pink-and-white-flowered plants are small compared with the typical specimens further south. 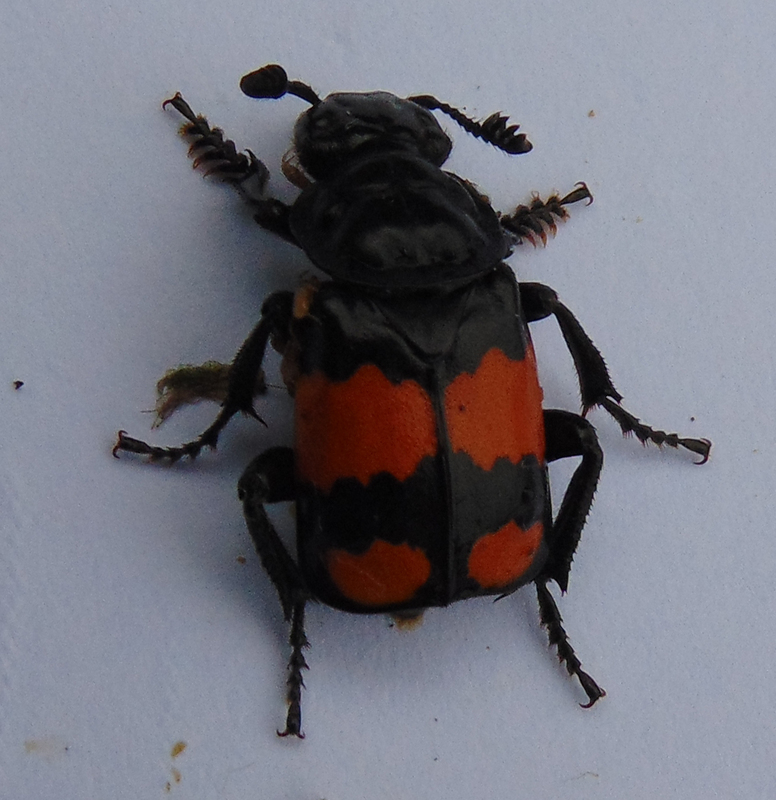 However, they have pedicels with narrow wavy wings (as well as sparse hairs) so this taxon is where I put them. Deirdre & Bill have been to Loch Sleadale and re-found Elatine hexandra (Six-stamened Waterwort) and Subularia aquatica (Awlwort), the latter also being in Loch a’ Bhac-ghlais. This refreshes records from 1973 and 1989. 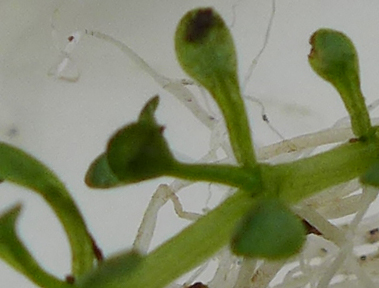 In this image you can see the three-fold symmetry of the fruit which guarantees that it is this species of Elatine rather than E. hydropiper. 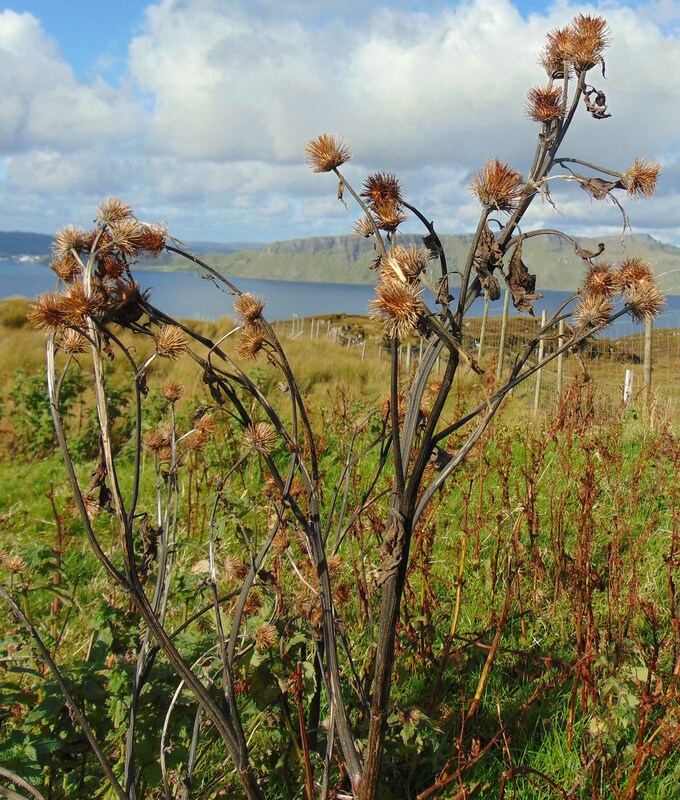 Tim has found Sparganium erectum (Branched Bur-reed) in the far end of Sleat, the only previous record for NG50 being from Loch a’Ghlinne in 1977 but with no tetrad specified. 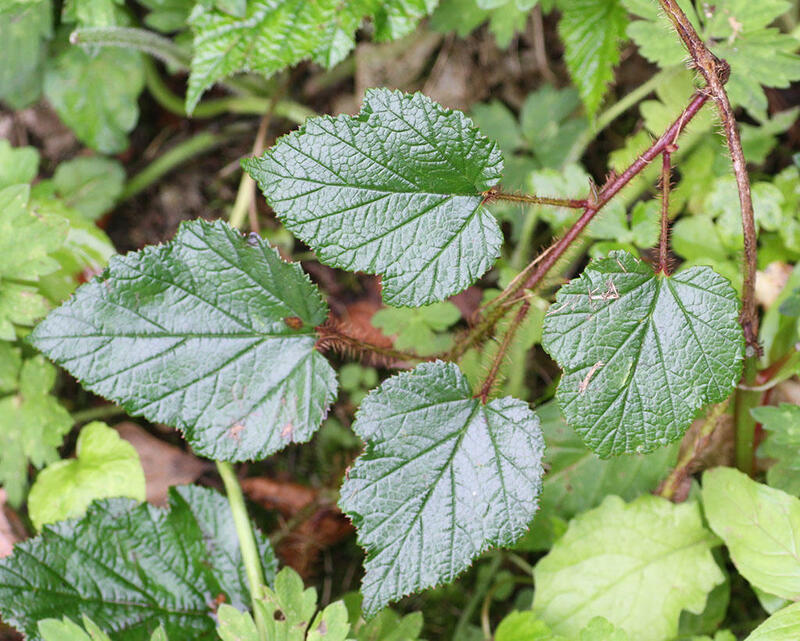 Steve has found Rubus tricolor (Chinese Bramble) in the Armadale area which I have seen as part of amenity planting locally but not previously known as an escape in VC104. In Waternish, John has had a first go at a corner of tetrad NG25Y, a tetrad with no previous records, and has found nearly 80 taxa so far.